Because of the UV rays we’re used to keep creams and lotions with high sun protection factors. But few of us know that food can keep us from the bad effects of the sun. Vienna nutrition experts claim that intake of certain foods can reliably protect against the harmful effects of sunlight . Tomatoes and watermelon are at the top of the list because they contain lycopene, an antioxidant that reduces the risk of cancer and protects the skin from the sun. Tomato values ​​are even higher if the cooked, since lycopene is better absorbed in the organism when ingested as a ketchup or juice. Precious and lettuce, because they are rich in bio-active substance chlorophyll, which helps to restore damaged skin cells. And the carrot is very effective in combating the negative effects of UV rays. Beta carotene from the vegetable to the upper layers of the skin and it’s aggressive harmful substances resulting action of the sun. It is recommended that we should eat it cooked or stewed. Professor Hademar Bankhofer stands that we should eat broccoli because it contains substances that help to get harmful substances as quickly as possible out of the skin. Kale protects us from unpleasant burns and red grapes from the risk of getting skin cancer. And the green tea has the same effect if we drink two liters per day. Indirect sunscreen provides fresh or dried figs and pears. They contain phenolic acids, which helps to quickly gain a tan, but that it lasts longer. Blueberries and blackberries, thanks to the dark pigment anthocyanin, protect skin cells from sunlight. To recover skin from the sun use vitamin C and proteins. 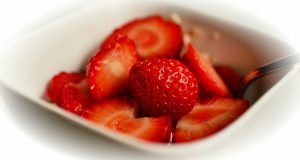 Raspberries, strawberries and peppers are rich in vitamin, while most protein is in chicken, nuts and seeds, fruits. 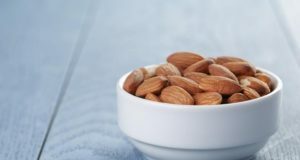 Nutritionists point out that flying is very important to supply the body with magnesium and potassium, which, along with sodium and chlorine, the fastest way to lose is through sweating. 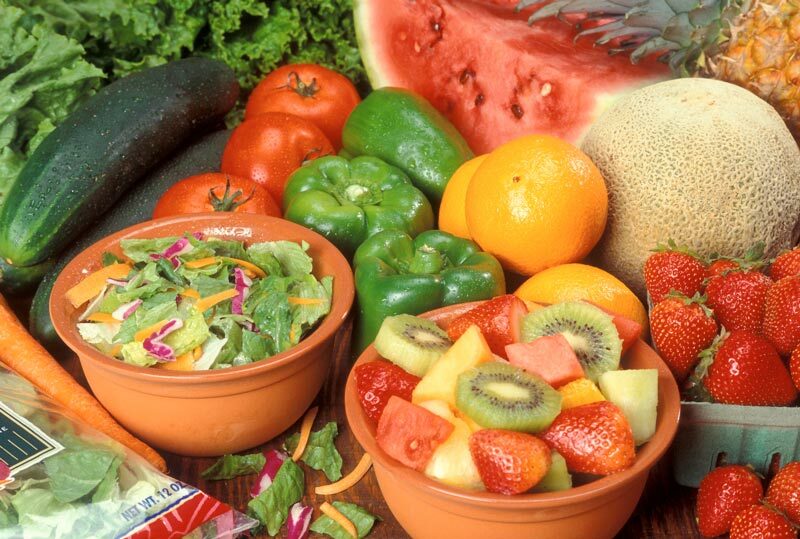 Magnesium is abundant in green vegetables, while potassium is the most fruit.